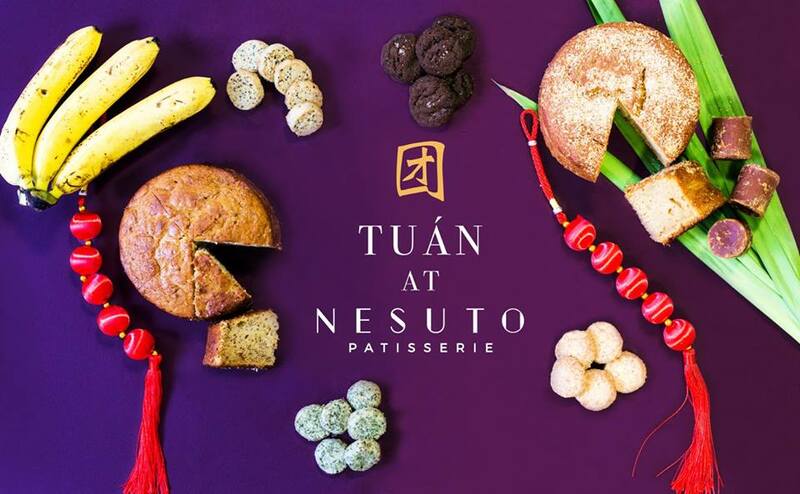 Unique Chinese New Year Goodies at Nesuto Patisserie! 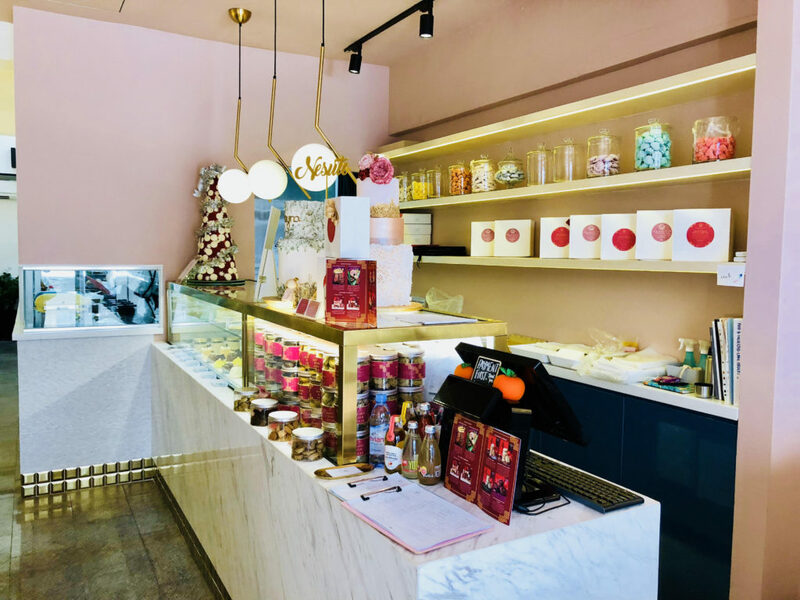 If you’re looking for unique goodies to share with your loved ones this Chinese New Year other than the conventional pineapple tart or prawn cracker, this Patisserie’s goodies are right on point. 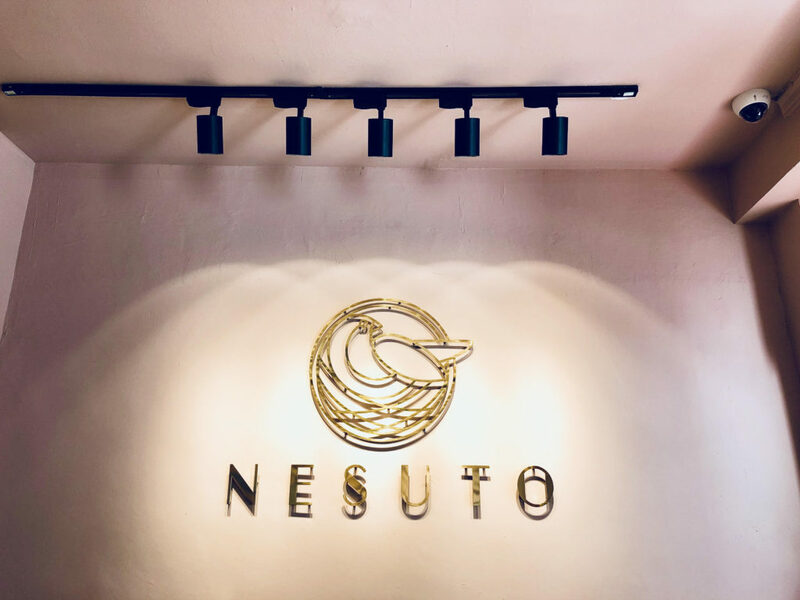 Just as its name connotes,( “Nesuto”, the Japanese word for “nest”, symbolizing home and family) Nesuto Patisserie aims to bring each customer the feeling of comfort, peace, and rest with its creations, now with the addition of CNY goodies this 2018! 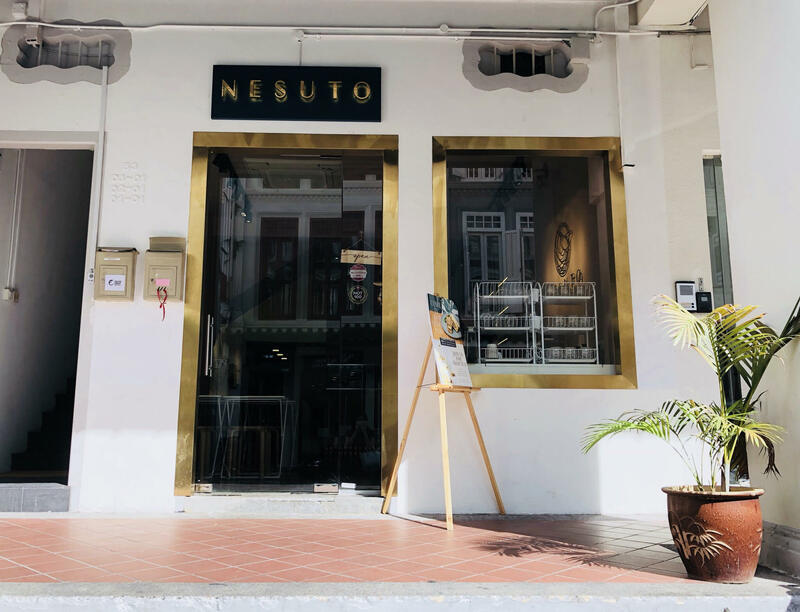 Having opened last year, Nesuto already serves a medley of assorted fusion cakes and entremets made using quality and premium ingredients directly imported from Europe and Japan. This 550gram Gula Melaka Butter Cake focused on being light, fluffy, and soft, with a tinge of coconut. 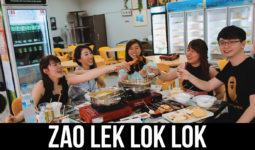 In my opinion, it’s best served either chilled or warmed to bring out its moistness and flavour! 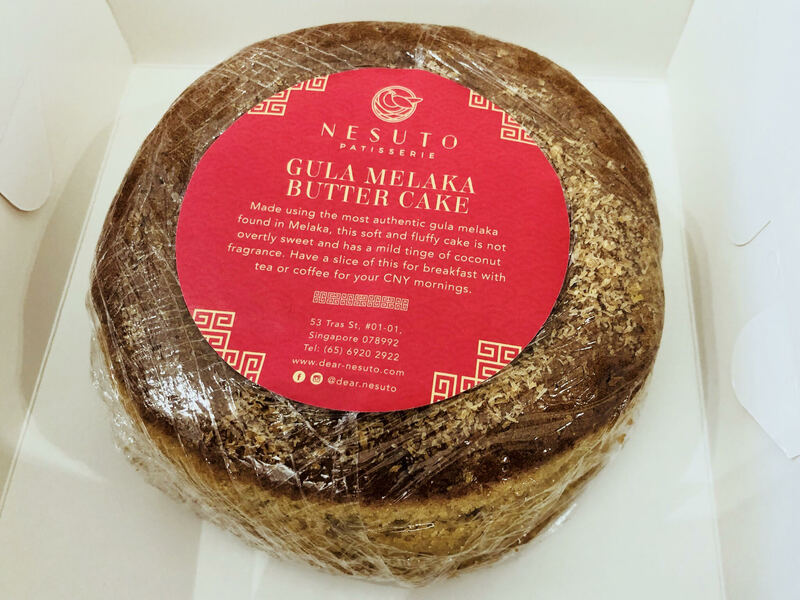 Not too heavy and not too sweet, the Gula Melaka flavour is pretty distinct. A slice of the not-too-sinful cake would be perfect with coffee (or warmed and topped with a scoop of ice cream!! Idea?). I also tried the Chocolate Fleur De Sel cookies and the Nori Seaweed cookies, both of which I had (many) second helpings to. The Nori Seaweed cookies on the other hand, are delightfully crisp and crumbly. They are light and choc-full of crispy Nori seaweed – really loved the texture and umami in this! Going for just $15 per 300gram tub, you can purchase these online, and I know I’ll be ordering them again sometime. 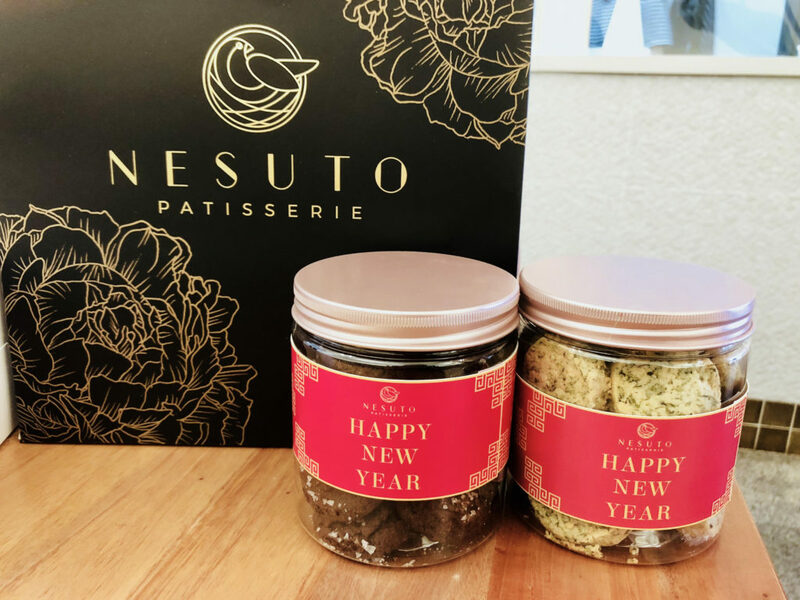 4 different cookie flavours are available for order this Chinese New Year – Coconut, Japanese Sesame, Nori Seaweed, and Chocolate Fleur de sel. Customers can choose from a selection of specially made cookies, cakes, and bundled hampers. 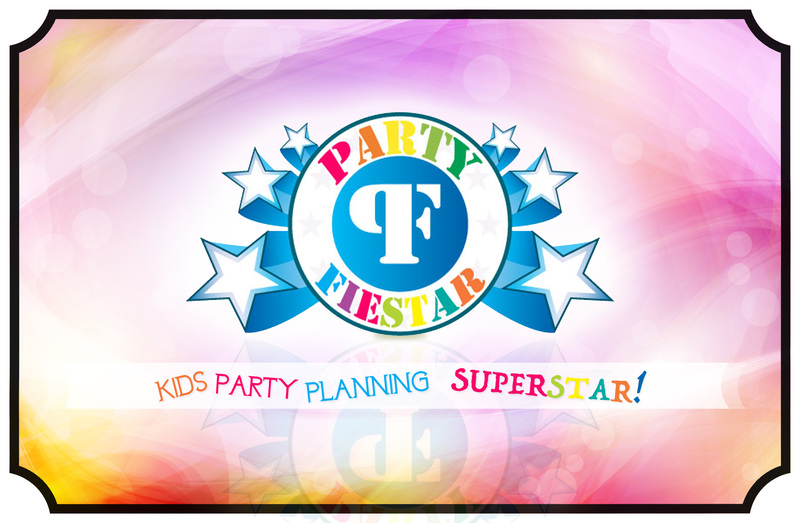 The Chinese New Year catalogue is available on their Facebook page, and can be emailed upon request. 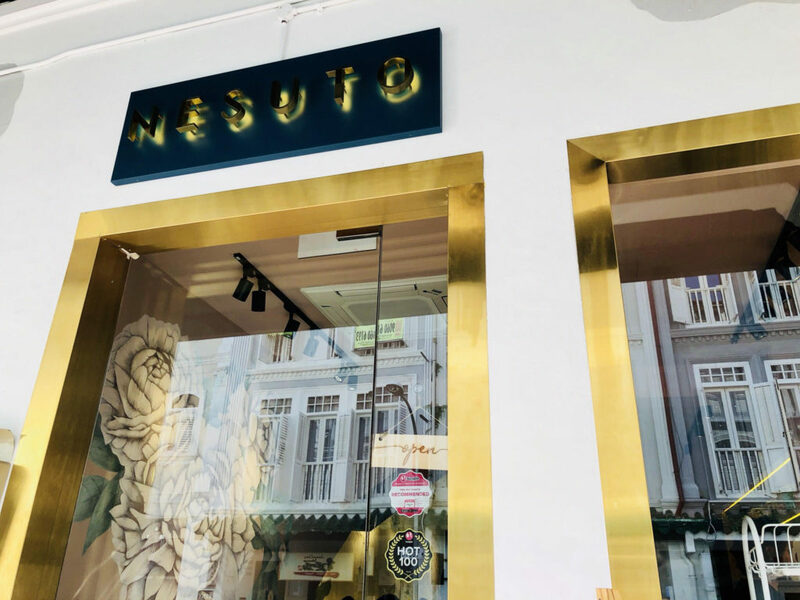 All items will also be available for order from 15 January 2018 through Nesuto Patisserie’s online order page at https://nesuto.oddle.me. 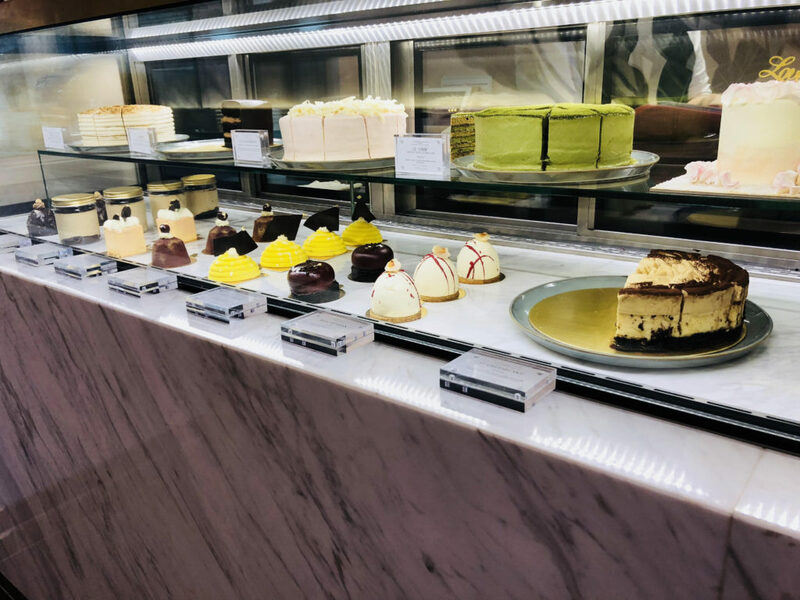 Alternatively, customers can call / walk in to Nesuto Patisserie to place their orders. Cookies and bakes purchases above $100.00 will enjoy a 10% discount off the total bill, excluding delivery charges. 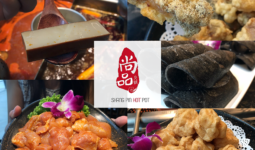 Tendon Kohaku 天丼琥珀 New Outlet at Chinatown Point! 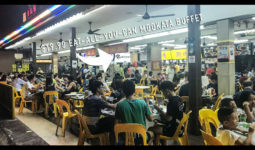 PINKYlicious Valentine’s/ Chinese New Year Dining Experience at Monster Curry!